Coriander Bits 20! Easter Bunny Harry! St. Patrick's Day Special : Free Antique Mason Jars! Due to its high popularity, we have decided to extend our special until March 21st! 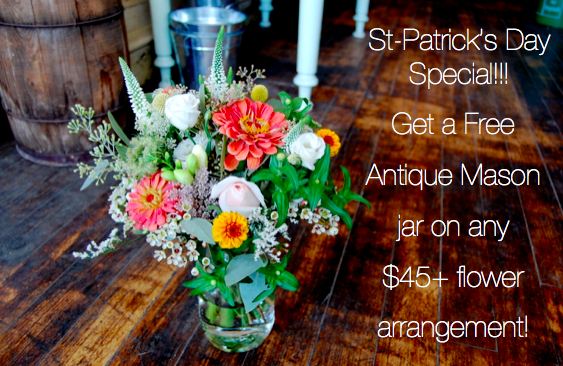 So come by the shop this week and get a free antique mason jar with any $45+ flower arrangement. Consider this the extension of the white rabbit special!! To claim the offer say the promotional code "St-Patty's Day" at the cash desk, with an accent of course! 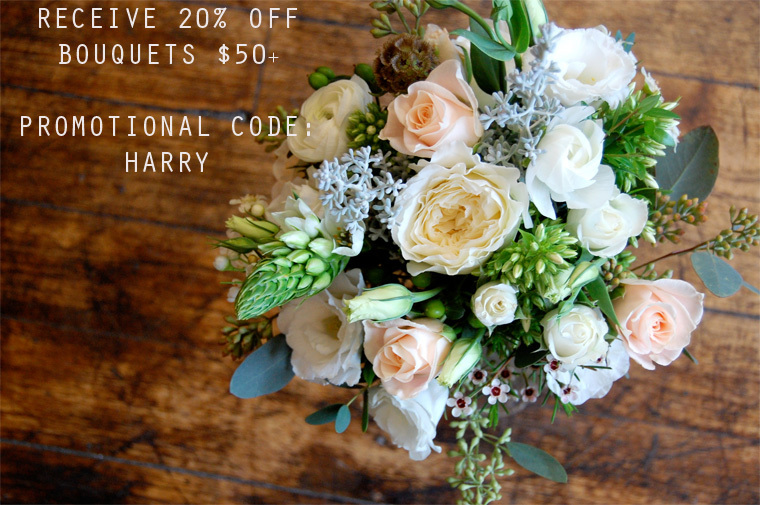 As you may already know, Coriander Girl is a floral and gift boutique in the heart of Parkdale. I offer a unique array of fresh and locally grown floral arrangements that are garden inspired and uniquely designed. You can come by and pick up a fragrant bouquet or place an order and have an arrangement delivered. You're also encouraged to bring in your own vase and have it filled or choose from a range of beautiful vessels. or stop by the shop located at: 1604 Queen Street West. Coriander Girl's white rabbit promo launches this weekend! Come on by this weekend kids and get 20% off a garden inspired bouquet similar in size to the picture above worth $50 or more. Consider this the white rabbit special cuz Harry's in town! This offer ends March 21st so hurry up!